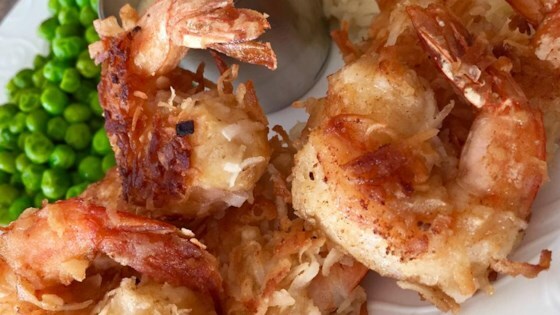 Irresistibly crunchy and easy to eat shrimp! I thought this recipe was good, but I made one change, instead of beer, I used coconut milk and it made it so coconutty. Yummy!